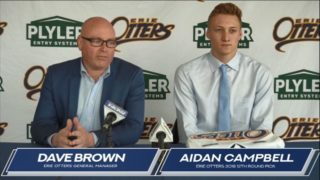 Christian Girhiny returns for a fourth and final season with the Erie Otters and will be a key piece to their rebuilding unit. 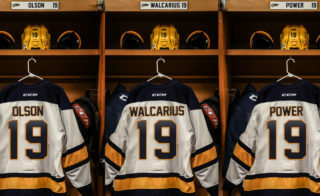 The former 11th round pick in the 2014 OHL Priority Selection hoisted the Robertson Cup in 2017 and has posted consecutive seasons of 25 points. Girhiny took time during Otters Training Camp to answer some questions and share his outlook on the season ahead. 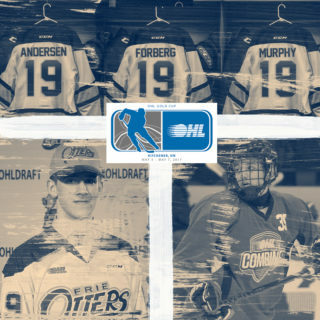 With a past OHL championship under your belt, are you excited to be a leader on a young team this season? You’ve had back-to-back 25-point seasons. How much is your focus on production as opposed to playing a complete 200-foot game? After playing for Kris Knoblauch, you played under Chris Hartsburg last season. What sorts of qualities does Hartsburg bring to the team in his role? Your uncle Rick played briefly in the OHL and also played in the pro ranks. 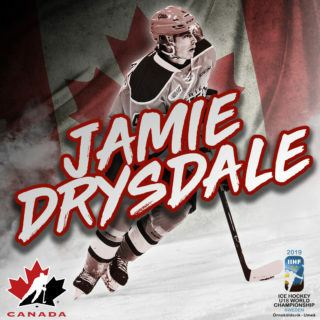 How much has he inspired your hockey career? 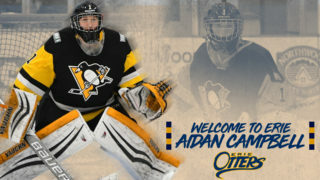 The Otters missed the playoffs last spring. With some of the young players a year older, are you optimistic about getting back into the postseason this year?